In this post, I am going to talk about the main changes and differences from PES 2013 to PES 2014. This will be useful to those who have just purchased the game recently. In addition to player’s fatigue bar and condition arrow, there is now another factor to consider when selecting your starting line up. When your player has performed well, such as scoring a goal, ‘The Heart’ feature will be activated and give the player’s playing ability a boost. 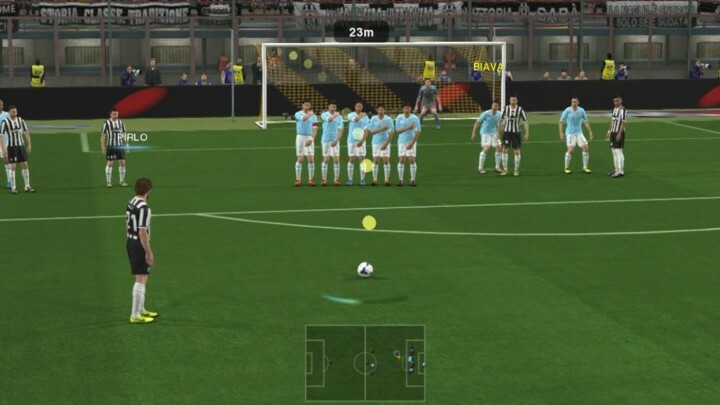 A new shooting mode is introduced in PES 2014 – Advanced shooting. This is in addition to the Basic Shooting and Manual shooting which we are all used to. Advanced shooting allows you to aim for all 4 corners of the net with the use of the left analog stick. Activating this mode enables you to have more control over your through pass. Holding the Through Pass button allows you to adjust the destination of your through pass with the left analog stick. We are used to pressing the cross button once for normal cross, twice for a low arc cross, and thrice for a low cross. The low arc cross is removed in PES 2014. Low cross can now be executed by double tapping the low cross button. Double tap the cross button to send a low cross. Last year, we could adjust the attack/defence level of our team on-the-fly. There is a slight change in PES 2014. Each pre-set tactic is assigned an attack/defence level. Thus, to make your team more attacking/defensive, you have to change the pre-set tactic in the game. Controls for free kicks, corner kicks and penalty kicks are changed as well. Hold R1/RT to activate the guide line. 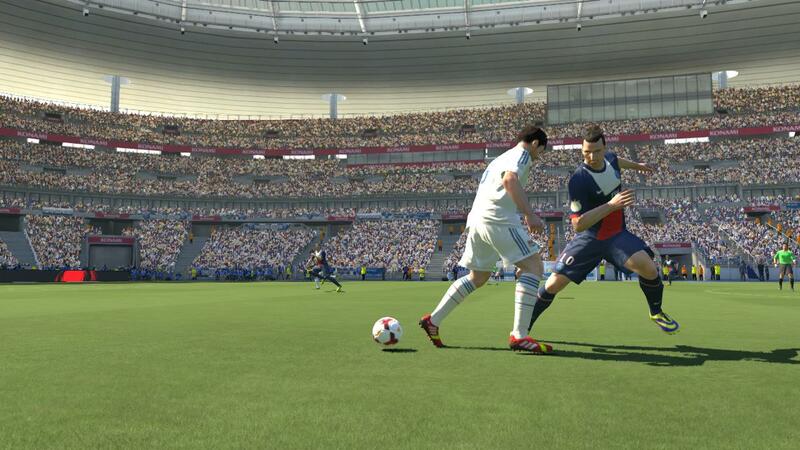 A new way to tackle in PES 2014. Push your right stick in the direction you wish to tackle. This is a more physical way of getting the way back. Activating this will command two of your teammates to make attacking runs in a pre-assigned manner. We can no longer do that now. Link feints have been replaced by autofeints, making it easier for new players to pick up dribbling. Move list for dribbling feints are updated as well. Mainly, we no longer have to hold R2/RT to activate the feints. In PES 2013, we have to press the Right Analog Stick button to activate teammate runs. I personally find it tedious to execute. 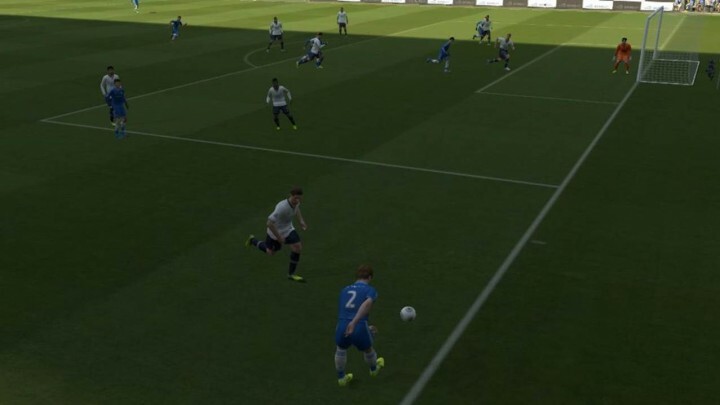 This has been simplified in PES 2014, where we activate teammate runs by holding L1/LB and push right analog stick in the direction of the teammate. Holding the R2/Rt button helps to position your player in past versions. This is no longer applicable in PES 2014. And these are the changes from PES 2013 to PES 2014. Did I missed any? Share them in the comments below.